Since the inception of Kllo, the power-duo of Chloe and Simon haven't ventured outside the comfort of their twosome. This broken on Saturday night at Melbourne’s beautiful Recital Centre, where the tag team was joined by a full live band. 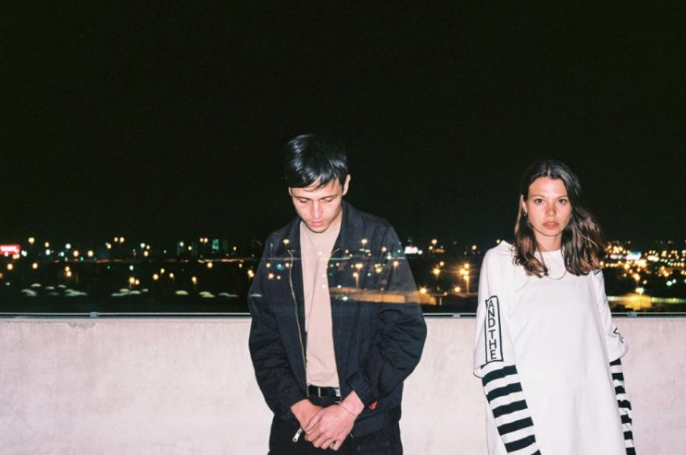 Accompanied on the evening by their opener Jack Grace, Kllo put on a stirring one show performance in Melbourne, before taking their band on the road to Sydney. Jack Grace’s electrifying production was paired on-stage by the majesty of a Steinway grand piano. The prolific instrument had him reaching an emotive resonance through his music with the tempered tones of the piano complimenting his high vocals perfectly. While Jack Grace's set was short, it also presented a wonderful surprise to those present at the Recital Centre, with Melbourne singer/songwriter Eliott joining Jack on-stage for a stunning duet combination of two of their songs; Eliott’s 'Figure It Out' and his 'Row Me Home'. Their vocal synchronisation was profound, coupling with the tender sounds of the grand piano and sweeping synths from his production work, coming together to create a live piece that was both touching, yet still lived in the moment. Jack Grace's stripped-back set created an emotional, but laid-back tone for the evening. Kllo’s performance was mesmerising, their usual intensified dance tracks coupled with Chloe's whimsical vocals followed the same path as Jack Grace’s works; having layers cut back for a closer appreciation of the duo's pure sounds. With beautiful lighting to accompany the fusion of their stripped back electronic synths and the live band elements, the set was full of Kllo's fan favorites and bangers from their album transformed into new held-back renditions of the original recordings. Kllo started their set with 'Downfall', the opening track off of the duo’s 2017 debut album, Backwater. 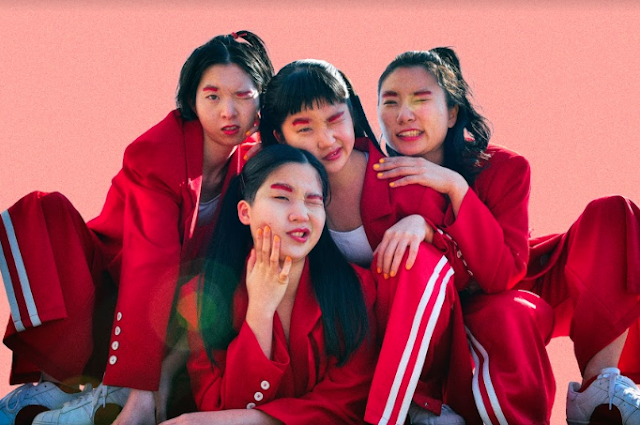 It was the perfect opener for the performance, with the sparkling, ambient synths floating through the Recital Centre’s hall as the band slowly made their way on stage. 'Making Distractions', the pair's first release of 2018; 'Potential' and a heart-rending rendition of 'Last Yearn' were early highlights of Kllo’s set, with Simon swapping between his synths and keys for the Steinway between songs. In this way, the Steinway piano was used to great effect through Kllo’s set. This not only acted as a buffer between the more electronic tracks, but also playing a role in softening some of the heavier electro tracks. Simon’s breathtaking playing of the piano brought out the raw potential of the instrument, as the band gave it the space and presence to combine perfectly with the accompanying synths. Dissolve was a fantastic example of this feature, taking away the standard moody synths during the track and replacing them with the grand chords of the piano giving the track a varied mood, taking Chloe’s already softened vocals and exemplifying them. The live band component was a fantastic success for Kllo, with the addition of extra synths, a drum-kit and backing vocals fleshing out the the pair's sound. This had a immediate effect, giving Kllo’s already deep sounds an extra dimension and making the duo’s tracks feel livelier, with a more tangible element attached to the sound. Leading into a section that Chloe joyfully dubbed their “semi-bangers”, the duo and their band ran through their popular single 'Virtue' as well as a an old fan favourite off of Kllo’s Well Worn EP, 'Bolide'. The track's lifted the energy in the hall, with the crowd bobbing their heads and moving in their seats to the rhythmic beats, if the Recital Centre had allowed it, people would have been dancing in the aisles. 'Nylon', a layered acoustic track off of Backwater was the closing number for a set full of fun, growing sounds and a new appreciation of Kllo's music. With only Chloe singing, Simon on the grand piano and their backing singers on stage, the track was a display of their sheer talent as artists, even away from all of their equipment. Funnily enough it seemed the Recital Centre was playing tricks on the artists with Simon’s synths accidentally playing through their closing number, it broke the tension and unfortunately brought both Chloe and Simon out of the moment; causing them to restart the song. Restarting the track with a laugh and a “poor backing singers” remark, Chloe and Simon completed their set with finesse.